Popular is on a brief hiatus while I play in the snow. 2. As far as possible try to move them to the right chronological bit of the playlist. That’s all! Have fun with it! Yes, the Sno-baller (check the Wicked spelling of the device to give it that extra edge of cool). * I don’t think it will, by the way. 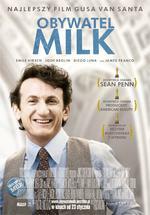 Its a good, but pretty bogstandard, biopic which stands or falls – like most biopics – on how interesting you find the facts of Harvey Milk’s life. And in this case its Milk’s life from his 40th birthday, missing out a previous forty years of closeted homosexuality. It stands better as a testament as “only thirty years ago” monument to bigotry, and is serious and all. But Oscar winner? Here’s how. -Its about California. Its about Californian politics. Where do most members of the Academy live? Why did Crash win best picture a few years ago? Cos it was set in, on and around LA and disquieted every Academy member who felt a bit bad about having a Latino maid. Everyone in the academy will at least know one gay person. Ergo, Milk.